Welcome to fall and to Oktoberfest season, which is in full swing across Long Island! There are dozens of festivals, beer dinners and other events to celebrate all things German, including this weekend at the 4th annual Oktoberfest at the Mansion at Glen Cove. If you have a craving for brats, beer and Bavarian pretzels, the best way to locate an event near you is at our comprehensive listing of LI Oktoberfest Celebrations. Prost! 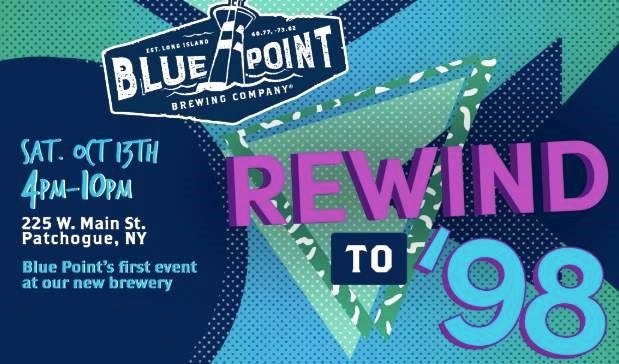 Blue Point Brewing will celebrate its 20th anniversary on Oct. 13 by holding the first event at its new brewery on West Main Street in Patchogue. The site was formerly the long-time home of a lace factory and most recently housed the now-closed Briarcliffe College. Blue Point broke ground for the new brewery last September and in May began producing and packaging beer at the 54,000 sq. ft. facility. Construction is expected to begin soon on a second floor tasting room and restaurant, and future plans call for an outdoor beer garden and regular brewery tours. The 20th anniversary bash will be held under tents in the brewery's parking lot and in true Blue Point tradition will feature live music, local food and plenty of Blue Point beers, including a retrospective of styles brewed over the past 20 years. It is hard to believe now, with Long Island soon to have 40 craft breweries, but in 1998 Blue Point was the only brewery and the first to open on Long Island in 40 years, since Linden Brewery closed in 1949. Blue Point was founded by Mark Burford and Pete Cotter in a 5,000 sq. ft. building on River Avenue, just a half mile from the new brewery. The brewery's flagship beer, Toasted Lager, quickly developed a loyal following and other popular beers, including Winter Ale, Summer Ale, Blueberry Ale and Hoptical Illusion, helped Blue Point expand distribution along the whole Eastern Seaboard. Blue Point was purchased by Anheuser-Busch InBev in 2014 but is committed to remaining an active part of the Patchogue community. According to Burford, who serves as brewmaster emeritus, "the best thing about Blue Point's next stage of growth is that it will happen in Patchogue." In addition to Oktoberfest celebrations, beer lovers on Long Island can have their pick this fall of beerfests to enjoy craft brews from Long Island and across the country. A new festival, the Long Island Fall Beer Festival, will be held on Oct. 20 at the Academy Sports Complex in Farmingdale. 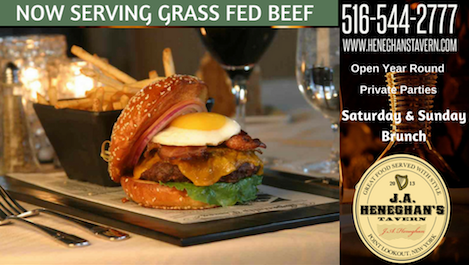 The new beerfest will feature more than 25 breweries, including locals Barnshed, Garvies Point, Lithology and Oyster Bay, along with food trucks and live music. The new festival joins a busy calendar of long-time popular events including the Nautical Mile Craft Brew Fest in Freeport on Oct. 6 and the Great Beer Expo at the Nassau Coliseum on Nov. 10. The Great Beer Expo will again host the annual homebrew competition of the Long Island Beer & Malt Enthusiasts (LIBME) homebrew club. Last year's competition attracted over 200 entries of beer and mead in more than 20 categories. For more LI Oktoberfest events click here.